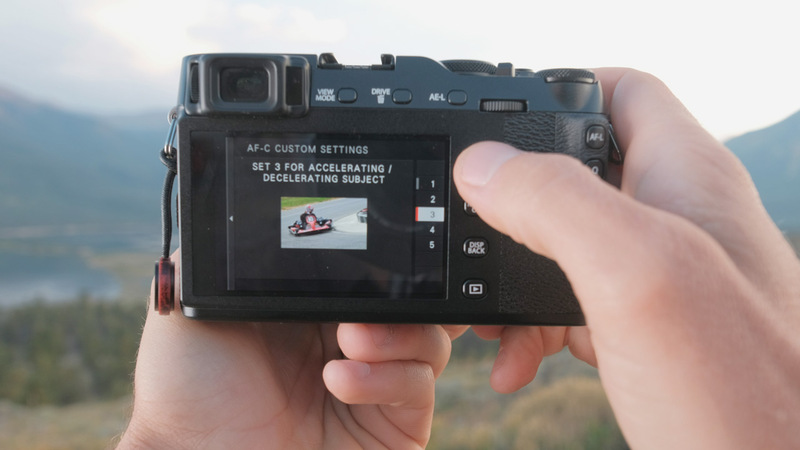 What's so special about the Fujifilm X-E3 mirrorless camera? In the video above I take it for a spin, dispell some rumors and break down a list of the core upgraded features compared to it's predecessor. 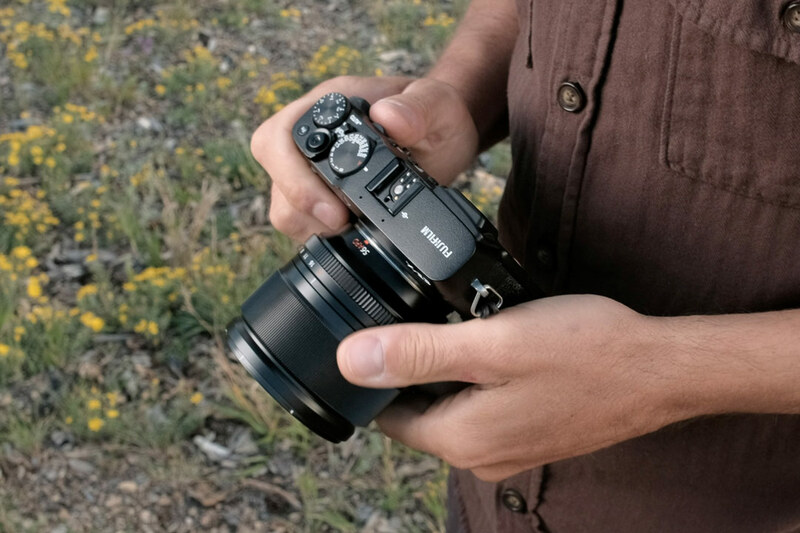 The X-E3 is the final camera in the X-Series lineup to receive the upgraded X-Trans CMOS III 24.3mp sensor with 4K video capabilities. What makes the X-E line unique is its very compact, rangefinder style, form factor. 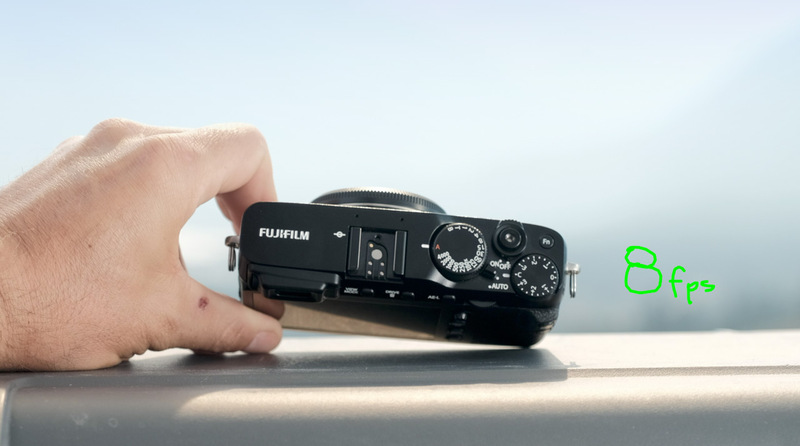 This camera is smaller and lighter than any other Fujifilm camera. However, don't be deceived by the small size. It essentially has the premium internal specs of the high end Fujifilm X-T2. Including the same 2.36 million dot electronic viewfinder (EVF) and the same robust autofocus system with 325 AF points. 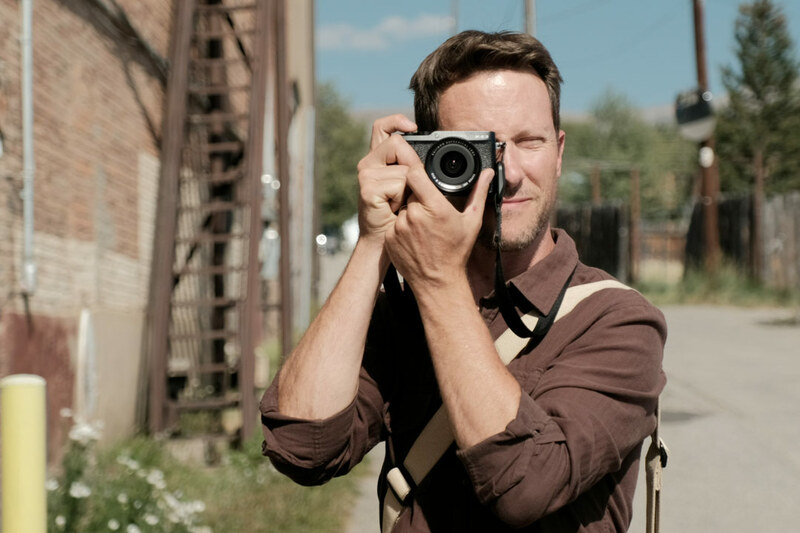 All packed into a body that's under 340 grams and roughly the size of a point-and-shoot. There are also some features that go beyond the current X-T2 capabilities. 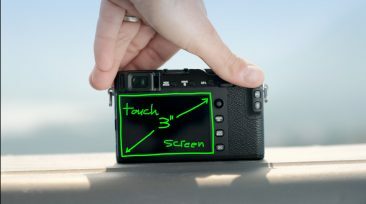 A 3 inch touchscreen (no-tilt) which allows touch enabled autofocus as well as AF point selection (while your eye is up to the EVF) and swipe gestures for quickly changing settings like white balance and ISO. 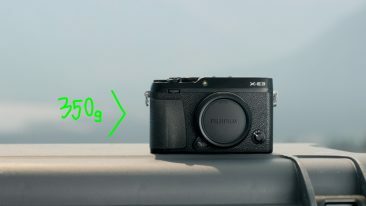 There's an improved autofocus algorithm (currently exclusive to the X-E3) that tracks subjects half the size and twice as fast as other Fujifilm models. 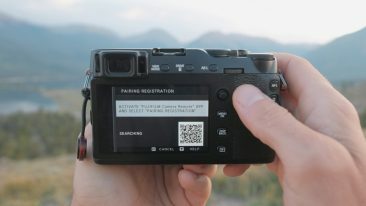 Also, the standout capability of the Fujifilm X-E3 is its bluetooth technology for pairing a smartphone and staying connected for wireless image transfers and remote operation. In the past, this wireless bridge was established via wifi only but it was somewhat cumbersome and limiting due to its appetite for precious battery life. 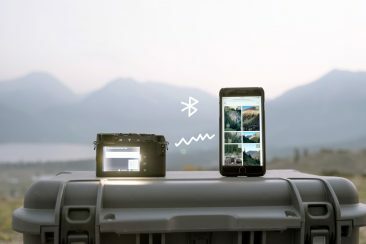 Bluetooth changes that allowing for a constant connection, automated integration and improved functionality. Did I mention a sub 340 gram weight? The Fujifilm X-E3 camera feels solid and handles well considering the size. 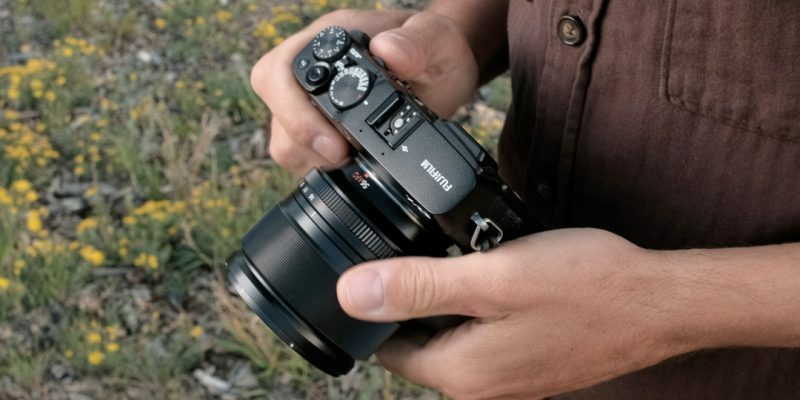 This is mainly due to the tactile dials and intuitive design that Fujifilm is known for. I'm a fan of having all the buttons accessible with the right hand. There is a rubber grip on the front and a protruding thumb grip on the back, although, these compact ergonomics will not be right for everyone. Especially people with large hands or those who would prefer more girth to hold on to. 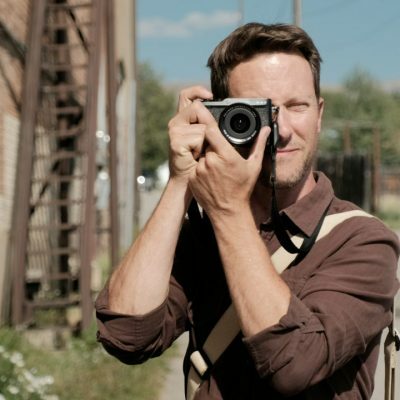 This minimalist, rangefinder-style camera is ideal for travelers, street photographers and anyone with an active lifestyle who wants to have a stealthy, high-powered camera tucked inside their bag or jacket at all times. For me, this will also serve as a very capable backup camera to my Fujifilm X-T2 on assignments, and also a primary camera on ultralight backcountry trips. It's so portable and lightweight, I have no excuse to leave it at home. It'll be shipping by the end of October 2017 in black or silver for $899 (body only). For those who don't already have a host of Fujinon lenses, you can get a kit option with the 18-55mm f/2.8-4 or the highly acclaimed 23mm f/2. For more in-depth information and specifications, you can check out the official Fujifilm X-E3 brochure here. 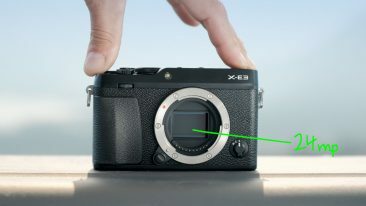 Also, a fellow X-photographer Jonas Rask has written about his experience with the X-E3 and shared some very nice sample photos. I'm an official Fujifilm X Photographer. Occasionally I receive cameras and lenses to test and provide feedback for free, however, Fujifilm does not pay me or even ask me to publish reviews of their products. 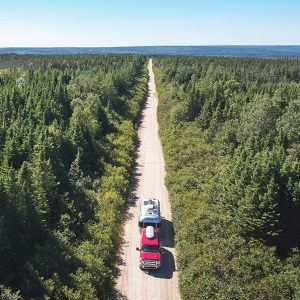 My goal is to share honest, insightful, entertaining information based on my personal experience and I hope that it will provide value to my audience. The Amazon links above are affiliate links. If you click through to make a purchase, I will receive a small commission at no extra cost to you. This helps support what I do and enables me to continue making entertaining and educational videos. Thank you!